We are a venture studio, specialising in the development of innovative products and brands with untraditional business models. Scroll down to browse a selection of our ventures and client projects . . .
We created Soda Brewery when we found ourselves in a love-hate relationship with soft drinks. We love the taste, and hate the sugar overload. Using the magic of brewing, we make a range of 100% natural sodas with all the flavour but half the sugar of regular soft drinks. Soda Brewery is a Previously Unavailable Venture, created in partnership with Heineken. "Soda Brewery is a fantastic example of how we aim to push the limits of innovation beyond just product. A new business model, the partnership with Previously Unavailable helps us to leverage creative thinking and innovate at speed. Experienced and creative entrepreneurs, Chris and James are a great team to work with." Hawker & Roll is the latest restaurant concept from Michelin-starred New Zealand chef Josh Emett. Working with Josh and business partner Fleur Caulton's Mayfare Group, Previously Unavailable developed the strategy and concept for this Malaysian fast-casual eatery with global ambitions. The first Hawker & Roll opened in Sylvia Park's renovated dining alley in December 2017. "We came to Previously Unavailable with lots of ideas and an end goal, but no clear direction of how to get there. James and Chris listened, guided, and directed us effortlessly through the concept and design process. Previously Unavailable was an invaluable external resources who gave us guidance and support, and set us on the path to take Hawker & Roll from concept to reality." Toothcrush is a toothbrush subscription delivery service, shipping customers a fresh, eco-friendly bamboo handled toothbrush each month. Launched in December 2016, the business grew to 10,000 customers in year one and is currently preparing for a global roll-out. Toothcrush is a Previously Unavailable Venture, and was a finalist for start-up of the year at the 2017 New Zealand Innovation Awards. "Wow! Best toothbrush ever. It's totally awesome. Funny how such a small thing can make that process enjoyable. Love every single part of Toothcrush. Love the packaging. Love the actual brush. Love the handle. Love the soft bristles. If you don't have one...you need one...you won't regret it." Simplicity is New Zealand's only not-for-profit KiwiSaver provider. Launched in August 2016, Simplicity worked with Previously on the development of their product, customer experience, brand and launch strategy. In its first 18 months, Simplicity attracted over 11,000 customers and over $350m funds under management. Simplicity was the winner of the 2016 New Zealand Innovation Award in financial services. “Previously are our innovation go-to people. To find out what’s hot and what’s not, they're our first call. But most importantly, they're a critical input into working out whether an idea will actually work in the marketplace. It’s easy to be seduced by innovation, but it's getting the idea to actually work in the marketplace that’s their special sauce." When we were engaged by DB Breweries to develop the next beer for the Export brand, we prototyped 12 different beer concepts. Through that process we learned that even lager guys' tastes were being affected by craft beer. And although the last thing they wanted was an IPA, they were thirsty for a lager with much more flavour. Hop Lager is the first example of a mainstream lager brand crossing over into the craft space, and was launched in December 2017. "Previously Unavailable’s prototyping process has really changed the way we think about new product development. The final concept for Hop Lager proved the value of their process, testing off the charts with Export drinkers." "Once in a while a spirit is introduced that is so singular it has no rivals." When New Zealand premium rum brand Stolen were given an opportunity to enter the US market, we partnered them on the creation of their US product. Stolen Coffee & Cigarettes, the world's first smoked rum, was an instant hit. It was drunk by everyone from Snoop Dogg to Emily Ratajkowski, and led to a majority stake in the company being sold to Chicago's Liquid Asset Brands for $21m in 2015. "When we approached Previously we had an urgent but huge brief: help us ideate a concept for an innovative spiced rum for the USA market. If we got it right, we might have a seat at the table with the biggest distributor in the USA, Southern Wine & Spirits, who had asked us to come up with the concept. No pressure: we had two weeks! James is always amazing - one of the very best I have worked with - at finding innovative and strategic angles to services, products, and communications and on this occasion (as always) he certainly delivered. Our Coffee & Cigarettes Spiced Rum (a world's first and James' idea) was taken on by Southern Wine and Spirits, a huge achievement and ultimately the catalyst of our USA success at Stolen." Storytech is 'brand strategy in a box' for start-ups and young companies. Solving the problem of how to help start-ups in a way that's affordable for them and sustainable for us, this 'productisation' of brand strategy is an exponential technology of our own. Developed by Previously founder and internationally acclaimed New Zealand brand strategist James Hurman, Storytech brings world class brand story tools into a single day process delivered via online video for $500. Storytech is a Previously Unavailable Venture. "Storytech was really valuable - it pulled together info and insights in a really succinct way. Each member of our team is now able to explain our brand story with confidence." In 2015, Spark asked us to help envision the future of their category and business. We identified several innovation territories through which Spark could play a more valuable role in their customers' lives. Galvanised by the process and outcomes, they then asked us to make a film showing how that innovation could transform a day in the life of a Spark customer in 2025. The film was used as a way to inspire Spark's staff and featured in a branded content partnership with NZME, exploring New Zealand's tech future. "The impact the Spark Life 2025 film had on staff was extraordinary. It made the intangible conversations about innovation and our future seem real to people. For once everybody really got where we’re going and felt excited and special about being part of Spark." We believe that speed is the new competitive advantage. That the future will be owned by those who can create and adapt faster than their competitors. Our Co-founders process is a new innovation model that enables the rapid conversion of ideas to commercialisation. We push design thinking, lean startup and agile development to their limits to massively accelerate the development of new products and business. Examples of this process in action are Toothcrush - from idea to market launch in 13 weeks, Sitterzen - from idea to live beta in 4 weeks, and Stolen Rum - whose US product we conceptualised from scratch in ten days. We work with either the founders and leaders of the businesses in our venture portfolio, or with senior leaders in external client organisations. Our commercial models include equity splits, revenue shares and traditional fee and retainer arrangements. We often partner corporates who are frustrated with the slow progress of their traditional structures - acting as a surrogate for the rapid development and launch of new products or businesses. Market entry and go-live - managing the launch and early stage marketing and customer acquisition before handing off to a management team and advising in a strategic capacity. James started Previously Unavailable in 2014 following a career as a strategic planner in the advertising industry. In 2013 he was named the world’s #1 planning director, following many years as head of planning at Auckland ad agency Colenso BBDO. He has since led innovation and venture projects across fintech, energy, telecommunications, health, food, beverages, public sector, media, hospitality and professional services. James is also the author of The Case for Creativity, a book about the link between creativity and business success, described by The Coca Cola Company as "beautiful words of wisdom". Chris joined Previously Unavailable in 2016 following 4 years in London at the UK’s leading Innovation Consultancy ?What If! Innovation Partners, where he worked with a range of global businesses including EA Games, Jaguar Land Rover and Crowne Plaza to set, invent and execute their innovation and venture strategies. Formally trained as a mechanical engineer, Chris enjoyed the first 5 years of his career designing products at Fisher & Paykel Appliances before moving into the Management Consulting and M&A world with EY, both in Auckland and London. Chris thrives on bringing these creative and commercial threads together with a healthy dose of entrepreneurial spirit to help our most ambitious and innovative companies create the future. 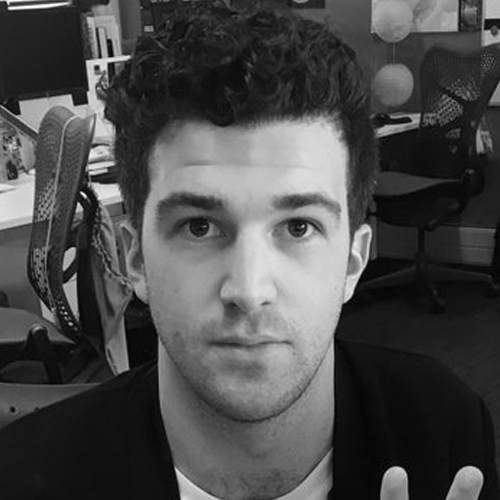 Simon joined Previously Unavailable early 2018 following 4.5 years leading up global brand, creative and communications for Vend. In that time the company developed 4 key international markets, inked and delivered on marketing partnerships with Apple, Square and PayPal, was the Deloitte Fast 50 fastest growing New Zealand technology company, won marketing awards around the world, and launched innovations like an AI platform to help customers know what to do next. Simon started his career as a media and politics reporter, went into television production, and moved to traditional agency brand advertising. Simon is co-founder and Managing Director at fashion label Ingrid Starnes and hosts the entrepreneur-focussed Business is Boring podcast for The Spinoff and Callaghan Innovation. Eddy's diverse experience centres on tackling big challenges with creative solutions, whether that be employing co-design to solve for social issues with creative agency Curative, or devising award-winning creative and digital strategy at Air New Zealand. Eddy is no stranger to the start-up world either, as the co-founder and brand-lead on one of Auckland’s most buzziest arts collectives, Snort Comedy. 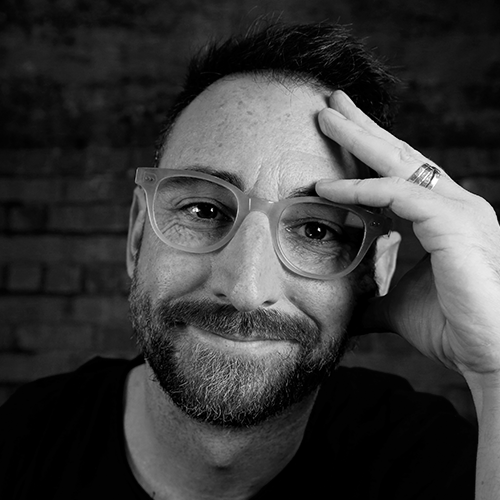 He’s deeply passionate about seeing New Zealand producing an increasing amount of fantastically designed products & services, and he lives for chances to weave together his strategic, commercial, and creative skills to play a role is making that happen. Annabel is a mother and biologist who grew tired of using a worn out toothbrush that she always forgot to replace, and found environmentally and aesthetically depressing. Working with Previously, Annabel created Toothcrush to make a better toothbrush more convenient and affordable for everyone. We take on select client, venture and joint venture projects each year. If you're interested in working with us, or want to contact us for another reason, please leave a message below and we'll come back to you.